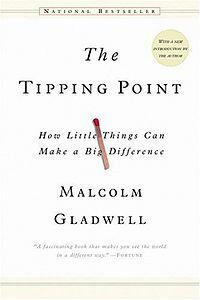 The latest book that I finished reading was The Tipping Point, written by the Malcolm Gladwell. I would recommend this book strongly to each and every data professional. This book is awesome. This book is about data, it is about events, analytics and about all the very important events that surround anything in life. The basis for the title is the term used in the epidemics – The Tipping Point, which is the moment when things changes drastically. Published a very long time ago, in the year of 2000 – this book is relevant as ever. There are things I do agree and there are some where I do not, but the Gladwell opinion is well presented & argumented; it is a very enjoyable reading by all accounts. This little book touches on a lot of themes that are very known at the time of the writing of this review (almost 15 years later) – such as the Tipping Point, 6 Degrees of Separation, The Power of Few, Pareto Principle and so on. In the modern world, social networks represent a very important part of life. Some events or news spread over them in a ways that might be compared to epidemics and hence understanding the structure and functioning are important keys to be able to spread or control them. I believe that The Tipping Point might be one of the best popular books that brings the Social Networks closer and helps to understand them. Note: I have been waiting to get this book for a number of years, hoping to find it on iBooks or Kindle, but since I had no luck before – I decided to check the bookstores in the USA during my trip to PASS Business Analytics Conference and sure enough at the San Francisco Airport I have seen it right near the entrance.